As part of Ocean Week we decided to create some sticky ocean animals! We chose sea horses, fish, and sea urchins, since we think they are fun animals... but you could really try this with any ocean animal. Making sticky ocean animals is super easy! First you'll want to cut out your ocean animal from cardstock and then cut out the center too. Next you'll want to cut up colored cardstock into little pieces. After you are done adding strips of paper to your fish, just cut around the outside of the fish and then stick it to a piece of paper or wall, sticky side down!! You can even create an entire sticky wall seashore to add these fish to. Just cut out a circle piece of paper and stick it to a piece of contact paper, sticky side up. If your child wants she can decorate the center of the sea urchin with markers before adding it to the contact paper. Next just add your flat toothpicks all around the edges of the circle to create the spines. Lastly, add a piece of contact paper to the back of the sea urchin to laminate it and then cut around the whole sea urchin using scissors. Once you are done you can add your sea urchin to a seashore sticky wall or just display it on it's own. First you'll want to print out this outline of a seahorse onto colored cardstock. Next cut it out and then cut out the inside of the seahorse as well, leaving empty space in the center of the seahorse to add some color. Stick the seahorse outline onto a piece of contact paper, sticky side out. Add some tissue paper and colored paper to the sticky part of the seahorse. My daughter and I ripped up some of the pieces of tissue paper and streamers which was a great fine motor activity! Once the seahorse is decorated, cut around the outside and add the seahorse to your sticky seashore or just display it on the wall! 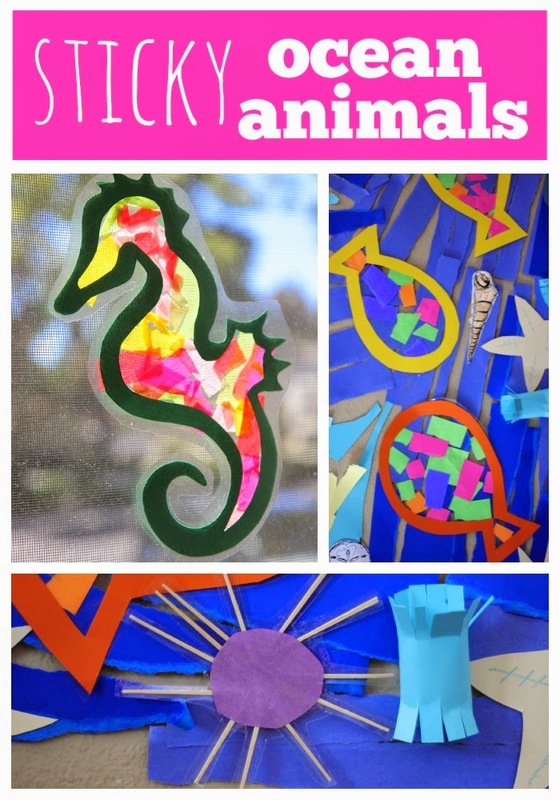 You could even stick it to your window as a seahorse sun catcher! 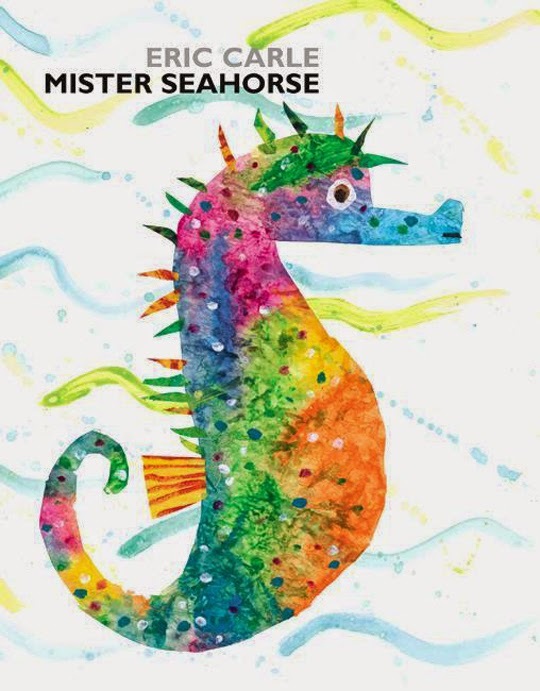 One of our favorite ocean books to real along with this activity is Eric Carle's Mister Seahorse. Do you have any other favorite ocean themed crafts or activities or books you could share with us? Head on over to our Ocean Week landing page to see the other activities we've shared this week. This is such a great idea! I can't wait to try it out with my toddler since he's currently obsessed with ocean animals.